When I was in the fourth grade, I threw a surprise slumber party for myself. And the best present I got that year, was an invaluable life lesson. 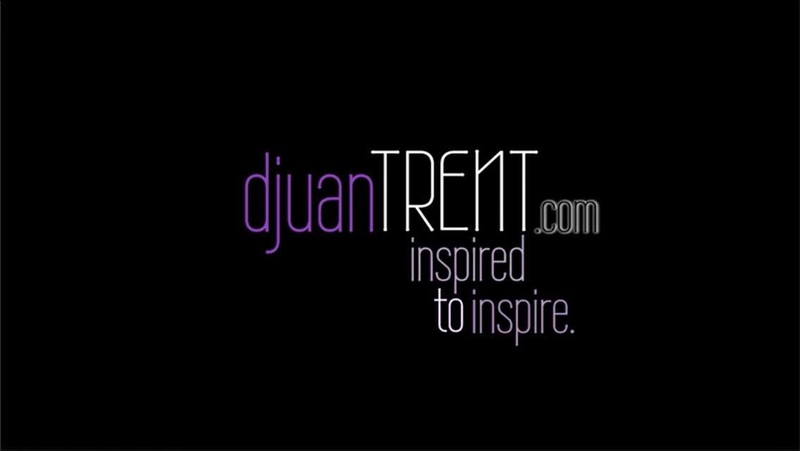 I needed to invite the cheerleading squad to my slumber party to show them all of the awesomeness that is Djuan Trent, that they were missing out on. My classmates already knew how awesome I was- they got to experience that everyday. So this was clearly the perfect opportunity to help my fellow cheerleaders get on my level and appreciate my awesome. My mom, knowing my relationship or lack thereof with the cheerleaders, asked me multiple times if I was sure that I wanted to invite them as opposed to classmates whom I had known for four years. And while I appreciated my mom's concern, I knew what I was doing...definitely inviting the cheerleaders. Well... I think we know where the story goes from there, but in case you don't, I'll giving you a quick recap of how my Awesome Rockin' 10th Birthday Surprise Slumber Soiree turned out. None of the cheerleaders ever RSVP'd or showed up at my party. Womp, womp. But alas...it was not just me, my mom, an icecream cake and streamers...it was me, my mom, an icecream cake, streamers, Kim, Reece, an intense session of "dress up" in my mom's closet and jewelery, and Toni Braxton karaoke. Kim and Reece were my only two friends who were willing to forgive me for not inviting them in the first place and whose parents would actually let them attend at such late notice. We ended up having an amazingly fun night- a night that I don't think would have been as memorable had any of those stank-attitude cheerleaders come (no, I'm not still bitter...okay, maybe. Whatever.). I started that day off feeling sad and embarrassed because I thought my surprise birthday party would be a flop, but it turned out to be a great example of what true friendship is all about and why quality is so much more important than quantity. At times, we may find ourselves getting caught up in trying to impress people who are not our friends and have no bearing on our existence. As the years have gone by, I have come to realize and appreciate how intimate and diverse my circle of friends is. There have been a few times in my adult life that I have found myself reverting back to my fourth grade self and focusing on quantity more than quality...but I am thankful for friends who are there for me regardless, when I'm at your highest and when I'm at your lowest- you just can't beat that. Quality beats quantity any day. Thank you, to my circle- you know who you are. Mommy...thank you for letting me throw a surprise party for myself. You knew I was making a huge mistake with my choice of invitees, but you gave me the liberty to make that decision and learn that lesson myself. It was the best Awesome Rockin' 10th Birthday Surprise Slumber Soiree and life-lesson I could have learned at such a young age. And Kim, whom I generally refer to as "My Best Friend Kim", not be confused with Kardashian... You've been my best friend since the 2nd grade. We have learned how to love each other even in our most annoying and outlandish moments. I think the fact that we have stood each other this long is an accomplishment in itself. Thank you.